The holidays are over and I don’t know about you but I’m feeling large. Side story – David was filling out some forms the other day which included providing our weight. That statement alone should give you a sense of where this is headed. He wrote down “x” for me (go with it – it’s to protect the innocent) and let’s just say that “x” was like my weight in high school. So in a follow-up interview, I corrected the information to be “x+15” (again, go with it) and the lady on the other end of the line begins the inquisition with “Your husband says ‘x’ – you say ‘x+15’. Which is it?” To which I reply “do you mean before or after the holidays?” She was not amused and we proceeded to the next question. So let’s try to eat healthy (at least for a few days) and then we’ll move on from that new year’s resolution because there are too many good recipes out there to ignore even if it means getting busted by some uptight woman who believes that your husband would actually know what you weigh. My Uncle Willy (the banana bread recipe is his too) makes his own granola. If we’re visiting and he has extra on hand, he’ll send us home with a container. Since we don’t get to Houston as often as we’d like, he gave me the recipe. The first time that I made it he asked “how did you adjust the recipe?” I just laughed. 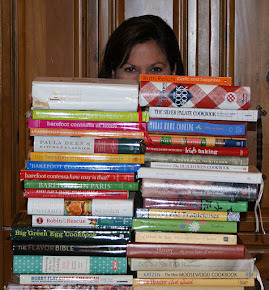 I figure that recipes are written for a reason and that’s for me to follow them. Here's to a happy and healthy new year!! 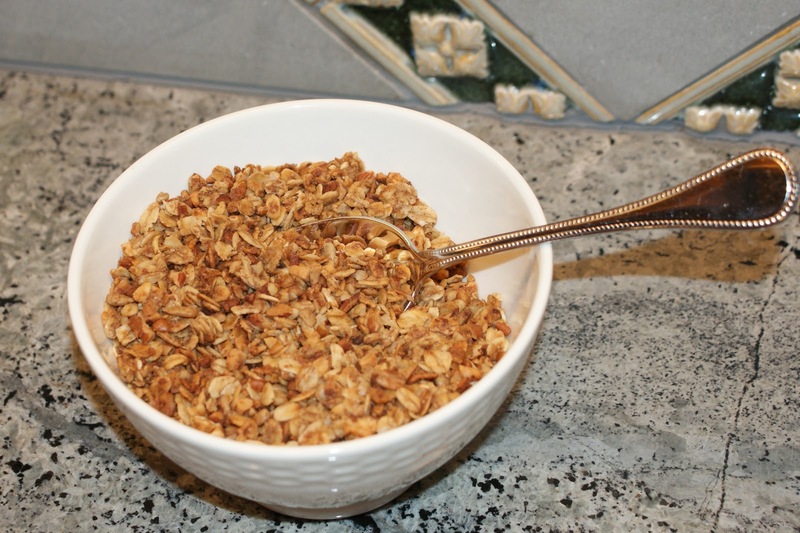 UPDATED: The original post has been modified with a another granola recipe submitted by TBM reader and contributor, Stacey W.
Mix ingredients #1-6 together. Other than the oats, all other items can be increased, decreased or eliminated all together, depending on preference. Combine items #7-12 together in a pot. Warm them slightly on a stove burner – they will combine and dissolve easier). When cooled, consider adding raisins, chopped dates, chopped prunes, dried cranberries - just about any dried fruit. Store in an air tight container. Boil water. Preheat the oven to 225 degrees F.
In a large bowl, stir together the oats, wheat germ, coconut, sunflower seeds and almonds. In a separate bowl, mix together the oil, honey, boiling water, brown sugar, salt and vanilla. Pour the liquid ingredients into the dry ingredients, and stir until evenly coated. Spread in a thin layer onto two large baking sheets. Bake for 2 hours. Switch racks every 30 minutes for even baking. Granola will crisp up more when cooled.